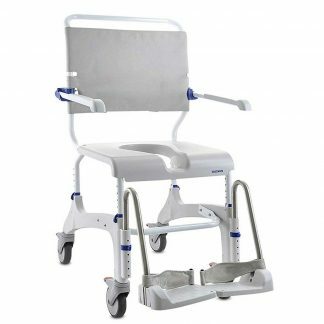 Our barbaric shower commode chair which offers a hospital to homecare bathing and toileting solution for those larger users up to 300kg (47st). The extra seat width of 26” and depth of 25” along with the ergonomic shaped backrest provides comfort and security for the user. 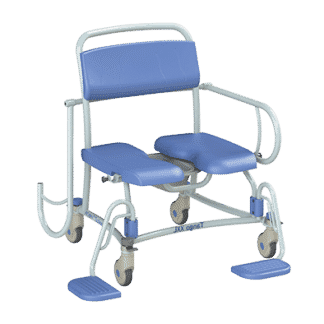 The extended armrests can fold away completely and the large comfortable footrests including calf support can be swivelled or removed to make it easy to transfer in and out.